Barton Peveril welcomed pupils from across Hamsphire’s schools, for a German Day. 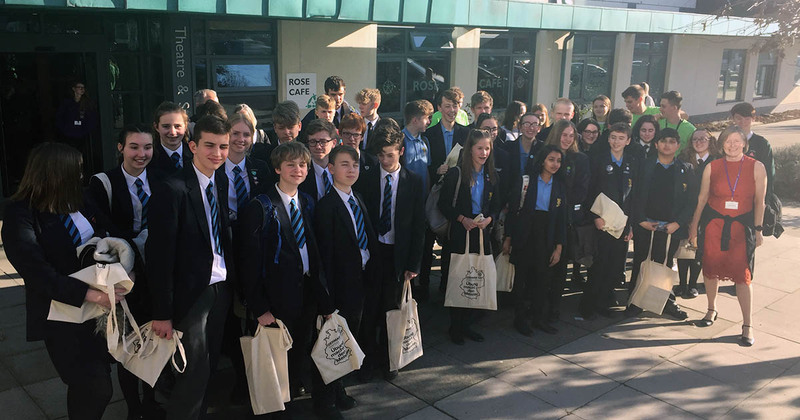 Pupils from Brookfield Community School, Wildern School, Wyvern College, The Gregg School and Noadswood School attended the event. The day, which was supported by the Goethe-Institute, gave pupils an insight into the world of work within modern foreign languages. Pupils experienced a range of sessions designed to showcase the career possibilities available to them with fluency in German and other modern foreign languages, including a hands-on advertising session that saw the pupils create an advert for their own German product. It was lovely to see you all enjoying using German. Well done to you all. And a great big thank you to The German Embassy in London for donating the fabulous prizes!